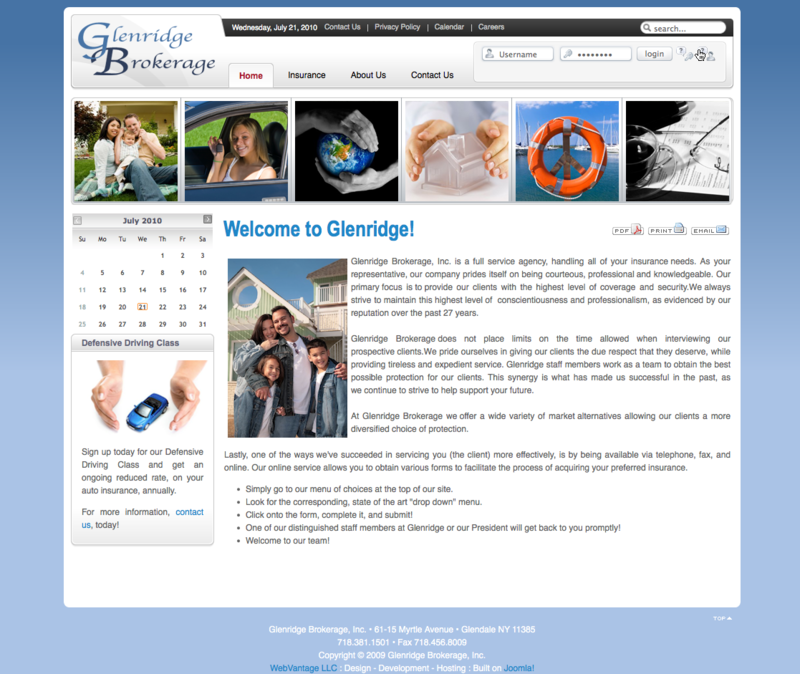 Glenridge Brokerage, Inc. is a full service agency, handling all of your insurance needs.Located in Queens & Brooklyn NY. Joomla! 1.5, Events Calendar, Forms, Google Maps, Bill Payments, Sliders, Socialize and more.